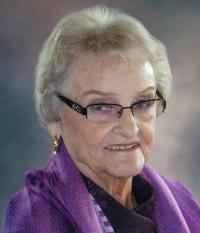 Dagmar Cunningham, a long time resident of Edmonton, passed away peacefully into the presence of her Lord and Saviour on September 15, 2012 at the age of 92 years. Dagmar was predeceased by her loving husband of 58 years, Reverend John Cunningham in 2002; son, Jim in 1994; and brother, Paul Edwardson in 2012. Dagmar will be sadly missed and lovingly remembered by son Paul (Bev) of Kelowna; grandsons Wray (fiancé Simone) and Jason (Shallon) of Calgary; brothers, Ross (Darlene) Edwardson of South Surrey, B.C. and Wray (Mitchie) Edwardson of Nanaimo, B.C. ; daughter-in-law Cathy Cunningham of Ontario, as well as many relatives and friends. A Memorial Service will be held on Friday, September 21, 2012 at 1:00 p.m. at Beulah Alliance Church, 17504 – 98A Avenue, Edmonton. A special thank you to the wonderful staff at Jasper Place Continuing Care Center and at Canterbury Manor and Court for their compassionate care these past two and a half years. In lieu of flowers, memorial donations may be made to Hope Mission or Beulah Alliance Church Missions.